RealPlayer’s Android app exits its lengthy beta today, and we got the chance to play around with the final product. Just like the beta, it handles all sorts of media types, including, audio, video, and images, though the user interface has been changed up a bit. Beyond handling the usual stuff like playlists and track sorting by artist, genre, or album, RealPlayer brings a few extras to the table. One of them is track control from the lock screen. It does mean that you’ll have another lock screen to tap through when media is playing, but generally I didn’t find that much of a hassle. Wired headsets support pause/play with in-line controls, but not track skipping, while Bluetooth headsets are the opposite, able to skip tracks but not pause/play. Read on for more, folks. More! RealPlayer plops an icon into the notification area when something is playing, complete with album art and track info. There’s also a home screen widget available for simple playback control, and a simple, classy lock screen for control while on the go. The home screen has been switched up from the beta so that all of the audio content is in a cool pseudo-iPod dial layout, with video and photos occupying icons along the bottom. RealPlayer uses long presses to appropriately bring up context menus for sharing and adding music to playlists, among other functions. Overall, the look of the app is functional and nice enough, though nothing especially fancy. The only usability tweak I would make is to make artist and album information in track information linked, so you could quickly browse related music. Despite exiting beta, I had a few issues with the pre-release version of RealPlayer 1.0 for Android. Newly added music files would not be automatically detected, for one; I had to manually refresh for tracks to show up in the music list. The app was occasionally unable to access RealPlayer video streams, despite being able to pull them up fine on the desktop version. 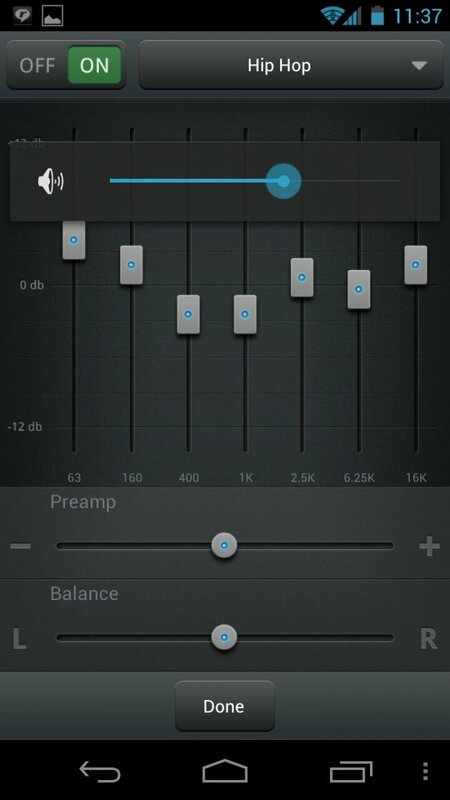 The one real selling feature RealPlayer has to offer is support for their proprietary .RAM and .RM streaming files, and unfortunately, that’s locked away behind the premium version of the app for $4.99, along with a few other features such as music crossfading, music metadata matching through GraceNote, and a graphic equalizer with lots of presets. I wasn’t that impressed with the photo browser at all, and I think the app would do just as well without it. There’s no pinch-to-zoom, only plus and minus zoom buttons in the bottom-left. Flipping from photo to photo with swipe gestures results in a seriously delayed animation, making it more practical to use the left and right side buttons. There’s no album sorting in the primary view, though there is a pause/play control throughout for music, plus a slideshow mode with custom interval. The video browser is a little more practical, with a view by folder available and a search bar at the top. Current music playing shows up in a bar along the bottom until you launch into another one. 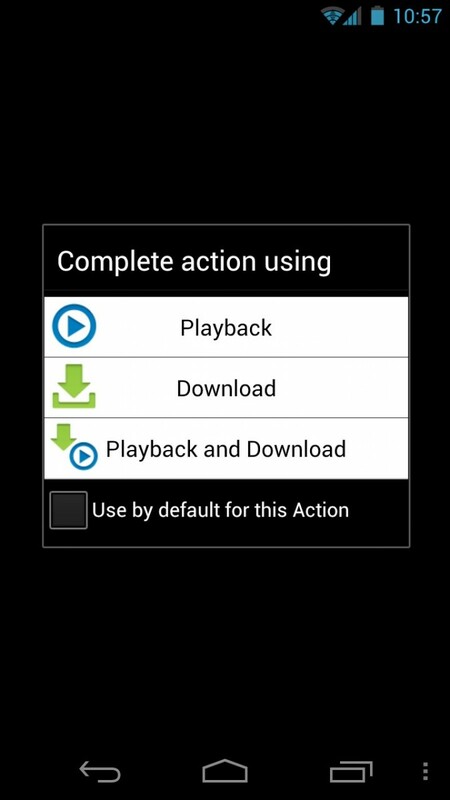 You can set RealPlayer as the default video player, and includes the option to save videos locally as well as playback. Unless I access .RAM video streams on a regular basis, I would have a hard time justifying paying for the premium version of the app. Automated metadata pairing is tempting considering the mess that my current music library is in, but in the past, I’ve found those kind of systems can be just as often be the source of screwed up album art as it could be the solution.